Covers requirements for registering and renewing registrations of Trademarks and Servicemarks. 1. 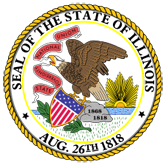 A Digest of Illinois Law for the Registration and Protection of Trademarks and Servicemarks (20060621120055_c2493.pdf).